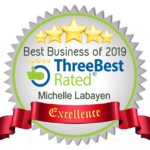 Learn why Michelle Labayen is the premier choice for bankruptcy in New Jersey. Read our widely read blog that touches on many topics dealing with the financial issues that face the public. Contact Michelle Labayen today to begin your path to financial freedom! Michelle Labayen has over 10 years of experience helping those with financial problems. See what our happy clients have to say. Thank you Michelle so much for helping me and my family! She really took a bug burden off of my shoulders. She's very kind and patient and really cares about here job! "Life Saver" is the perfect way to describe Michelle. Words cannot explain how grateful I am for all that she has done for me and my family. I was on the brink of losing my home, but with Michelle's trusty wit and expertise she relieved our burden with such ease and finesse. The kindest and most hard-working attorney I've ever had the pleasure of working with, hands down. If you want an attorney who goes the extra mile and invests herself completely with your issues, Michelle Labayen is the way to go. Michelle, is not only professional,dedicated,or reliable. She goes above and beyond the call of duty. There were many times when I became stressed out with worry and fear of the unknown. ..Michelle always always was there to not only answer my questions but to also put my anxiety at ease. I can honestly say I have absolutely nothing negative to say about Michelle Lebayen or her wonderful staff. Her assistant Giovanna is always on topen of things and can always be reached. Bankruptcy, by itself is a scary thing...if you're not well informed. Yes, you can help by doing research but nothing is more helpful than having a reputable lawyer who knows the laws, of bankruptcy. Do not pick a lawyer based on the lawyer being cheaper, pick a lawyer based on experience, reviews, track recod. Remember, "you get what you pay for". am forever grateful that my friend referred me to Michelle. I had already paid for another lawyer, but they weren't willing to take care of the bulk of my debt. After speaking with her, she gave me options that I didn't know was available to me. She helped me get the fair value for my car; which I'm still amazed with. Thank you so much Michelle. Who Would Benefit From Filing Bankruptcy? Anyone that is struggling to pay for ordinary and necessary living expenses for their themselves, family or business. What Are The Steps Involved In The Typical Bankruptcy Process? After selecting your attorney and provided all relevant financial information, the client will (a) take a credit counseling class; (b)review and sign the bankruptcy petition; (c)attend the 341 meeting which is usually 30 days after the filing of the petition (d) complete your second class (e) request a reaffirmation for any vehicles from your attorney or car dealer (f) receive your discharge in the mail. For a chapter 13 the client will additionally attend a confirmation hearing and then receive an order confirming their chapter 13 plan. Where Can Someone File Bankruptcy? Someone can file bankruptcy with the assistance of an attorney in any Federal Bankruptcy Court. In New Jersey the courts are located in Newark, Trenton and Camden. In New York the courts are in Brooklyn, Manhattan, Central Islip, White Plains and Pougkeepsie (Additional NY courts are located in Albany). What Options Do I Have If I Decide To File Bankruptcy? Chapter 7 for individuals and businesses : a discharge of all unsecured debt and surrender of secured debt, without a repayment to creditors. Chapter 13 for individuals only: a partial discharge of your debt with a repayment to your secured and/or unsecured debt over a three (3) or five (5) year period. Chapter 11 for individuals and business: a reorganization of contractual obligations and repayment of your secured and unsecured debt. Chapter 12 which is exclusively for farmers and partial repayment of secured and unsecured debt. Can I File Bankruptcy If I Have Overwhelming Student Debt? Yes. In both a chapter 7 and 13; however additional legal steps are required to prove that the debt is an undue hardship. No. You can maintain your home in a Chapter 7 as long as you are under the exemption amount for your state and in a Chapter 13 you can pay off your arrears to keep your home and force your mortgage company to accept your payments. Typically for a no asset chapter 7 case is 90 days. Typically for a Chapter 13 case 3-4 months. How Long Until My Credit Score Is Fixed? Your credit score will begin to improve 30 days after your bankruptcy case is closed. To avoid foreclosure, pay off arrears on your home, avoid garnishments and other legal proceedings, to discharge judgments from other courts, to avoid excessive tax repayment schedules, to maintain your business or to wind down your business, student loans are an undue hardship, a reprieve from credit card repayments at excessive interest rates or to have a FRESH START. A Bank Is Threatening To Take My House In Foreclosure – What Are My Options? Regardless of filing bankruptcy, please ensure that you answer the complaint in State court to avoid a default judgement. File for a Chapter 13 and arrange a plan to repay the arrears that you owe to your bank without going through the modification process. File a Chapter 7/13 bankruptcy to surrender your home and be released from the liability of the mortgage or any shortages from a short sale. You will also need a court to ensure a proper deed in lieu work out or abandonment of the property . How Do Bankruptcy Lawyers(You) Differentiate Themselves? The amount of legal work and time that they will commit to a client. Many clients are not familiar with how extensive and protective the bankruptcy laws can be. The Bankruptcy Bankruptcy laws continue after the client receives his/her discharge order. Bankruptcy attorneys should be versed in all matters of the bankruptcy court and bankruptcy litigation including adversary proceedings, strip off of mortgages, cram down of cars, enforcing the automatic stay, enforcing the discharge injunction and have a basic working knowledge of consumer laws such as the Fair Credit Reporting Act and Fair Debt Collection Practice Laws. We make sure that our clients are protected and creditors follow federal laws before during and after the bankruptcy process. There are multiple chapters in which a person or entity, such as a corporation, can file for bankruptcy protection…. Chapter 9, 15, 11, 12, 13 and of course Chapter 7. Chapter 7 is the most common type of bankruptcy because most people qualify for a chapter 7. This article is to discuss the basic process for filing for Chapter 7 bankruptcy protection. Chapter 7 is known as a “liquidation” chapter because assets (personal belongings)which are not exempt are liquidated (sold) and the income from the liquidation of the assets are used to pay off creditors . Many states provide large amount of exemptions which allows a person to keep their home, car(s), retirement plans, and other personal belongs. The attorney should be in good standing in the state. The attorney’s primary practice should be bankruptcy due to the multiple changes that took place in 2005. The attorney should be affiliated with a consumer /bankruptcy entities such as NACBA, NACA or other groups that focus on bankruptcy and consumer protection. The consultation should be for free, many attorneys provide for free consultation. The attorney should be versed in consumer law as well : FCRA (Fair Credit Reporting Act) FDCPA ( Fair Debt Collection Practice Act); Telephone Act, etc. Confirm if the attorney will represent you in an adversary proceeding (complaint filed against you in the bankruptcy court), work on your credit report after bankruptcy, represent you in any violations of the discharge order (creditors violating your bankruptcy rights after your debt has been discharged). Business information, profit/loss statements and tax return for business. Payment for attorney must be paid in full. An attorney is not allowed to be a creditor and an attorney at the same time. An attorney should allow for monthly installments but the actual electronic filing of the petition on Pacer(bankruptcy court website) will not occur until the payments are in full. Attorneys are NOT allowed to use credit cards from the client as payments, but may use credit cards from a third party. You have provided the attorney with all of the documents listed above, made the payments as contracted in full and you have taken your credit counseling class ( 30 minute online or telephone class that is required before the filing of your petition). The attorney will prepare your petition and call you to schedule a signing appointment. The petition is nearly 60 pages long and the petition CAN NOT be filed until you have reviewed the petition, had the petition explained to you and signed the petition. Signing the petition is confirming that the information that you provided and that your attorney drafted is “true and correct under penalty of perjury”. You must know what you are signing because you will be held responsible-not your attorney. After the petition is signed, your petition should be filed shortly thereafter but certainly no longer than 5-7 days after signing the petition. Most clients are relieved when the petition is filed because their automatic stay is not in full effect (bankruptcy protection); however for the court and your attorney the work is just beginning. You will receive your court date in 5-7 days after the filing of your petition. The court date is normally 30 days after the filing of the petition. Neither you nor your attorney can control the date or time of your 341meeting (meeting of the creditors). The 341 hearing is not before a judge but before a Trustee (another attorney) who sits on behalf of your creditors. Normally the 341 meeting itself takes about 2-5 minutes in which the trustee asks basic yes or no questions that your attorney should have already have asked you several times about your real and personal property. Although the meeting with the trustee is normally short, the waiting time to be examined by the trustee could take hours. You, as the debtor, must arrive early and bring your social security card and photo id. The social security card should be signed, reflect the same name that is on the petition, and your photo id (driver’s license) should be current, and should have the same address that is on the petition. The trustee will either “Close the 341 Meeting” meaning that he is satisfied that your questions are truthful and correspond with the information in the petition, or he will “adjourn the 341 Meeting” in which to seek additional information and confirmation that the information in the petition is true and accurate. Usually, the 341 meeting is closed and you will receive your discharge order in the mail in approximately 60 days (if no other creditor has filed an objection to you receiving your discharge). Be mindful that normally a Chapter 7 bankruptcy is uneventful in that: no creditors arrive that the 341 meeting, the trustee closes the 341 meeting on the day of the meeting and that no creditors object to your discharge. However, no one can guarantee that you will receive your discharge or not be subject to additional scrutiny from creditors or the trustee. Best advice is to be truthful with your attorney and disclose any and all information to him/her ….relevant or irrelevant. Know also that all types of people file: police officers, detectives, lawyers, doctors, bankers, teachers, etc. The most important focus for you, if you are considering bankruptcy, is to eliminate debt that is preventing you for leading a successful and healthy life so that you may regain your financial future.